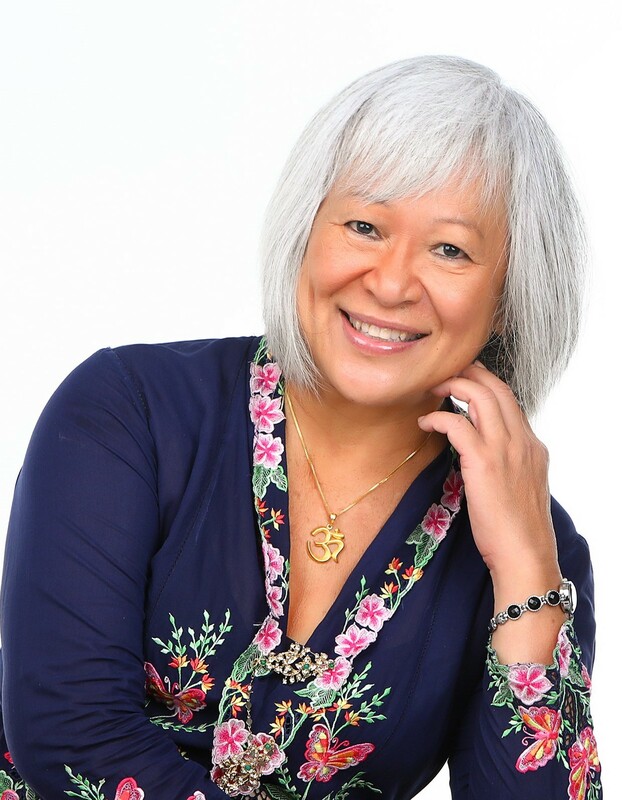 Josephine Chia | Official Website | Eclectic writer | Yoga teacher | Your Body Gateway to the Divine | Isn't Singapore Somewhere In China-Luv? Thank you for visiting my web-pages. Selamat Datang is Welcome in Malay. I`m a Peranakan and Malay was my first literate language. I speak Teochew & Hokkien but can`t write Chinese. More about Peranakans in the section on My Peranakan Heritage. In my photograph, you will see me dressed in a sarong-kebaya, the traditional costume for Peranakan women which consists of an embroidered top or kebaya and a wrap-around skirt called a sarong, which is usually in printed batik. I`ve a long-standing love affair with the English Language. Ever since I encountered it, its rhythm and poetry, its nuances and extensive vocabulary entranced me no end. Learning the English Language was my Open Sesame password to the world outside my little attap-thatched hut village or kampong. Until then I was a frog under a coconut shell, living the illusion that life under the coconut shell was my entire world. English was the magic wand which swept away my limitations, opening vistas of knowledge to me and later, the wealth and treasures of English Literature. I learnt of adventure, dramas, love and loss which inspired me to write my own stories. Without my mother, her determination and tenacity to send her daughter to school, this brave new world would have been lost to me. More about her in the section on My Village, Kampong Potong Pasir. To be able to live your dream, you need to hope. Throughout the years where it was impossible for me to dedicate my time to writing, I live in hope. I scribbled in the closet. I continued dreaming. Then circumstances changed and I was given a choice, to have more and not write or to have less and write. I chose the latter and have never looked back. My journey in writing synchronised with my search for meaning in life and spiritual truths. So I`ve begun to live my dream. Without you, my readers, students, publishers and supporters, this would not have been possible so thank you very much for bringing joy into my life!